This is the story of the ageless struggle between good and evil, love and hate, Hope and Fear, life and death. This is the story of one woman’s powerful battle with herself. Her struggle is long, and we see many facets of it as she and the elements around her battle it out but, as the drama unfolds and after much heartache and hope, she manages to defeat the darkness of mortality and come back to the joy and energy of life renewed, surrounded by all that she loves and bathed in an everlasting shimmering light. 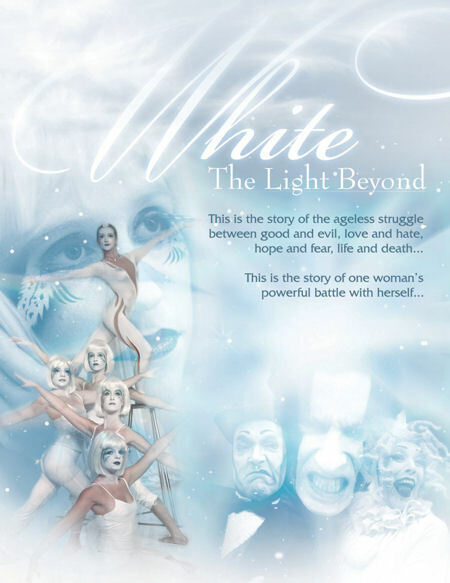 An eclectic mix of cirque acts intertwined with modern jazz and ballet dance segments, this theatrical production is an emotionally riveting masterpiece that depicts the “ultimate fight” with an eccentric yet deeply spiritual approach.